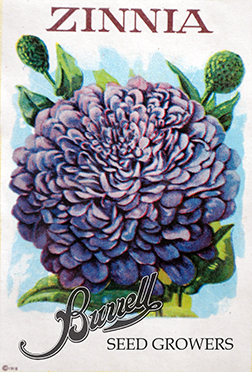 60 to 70 Days to bloom, depending on conditions. 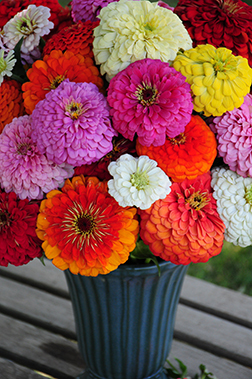 Zinnias are a wonderful warm weather annual, providing vivid color for your garden as well as bright cut flowers for inside. 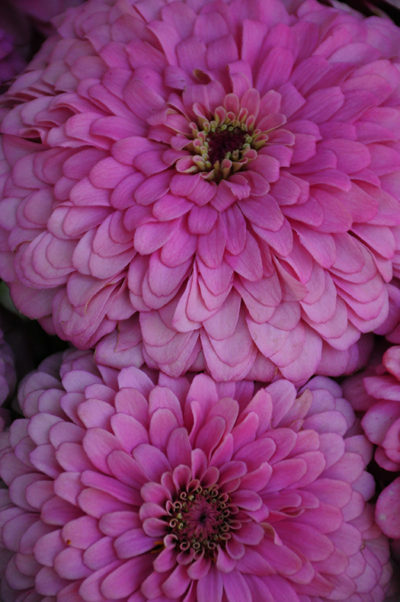 Easy to grow, they are well suited to this climate. 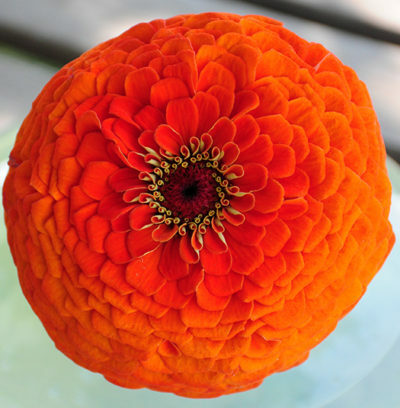 At one time 92% of the world’s zinnia seeds came from the Arkansas River Valley. 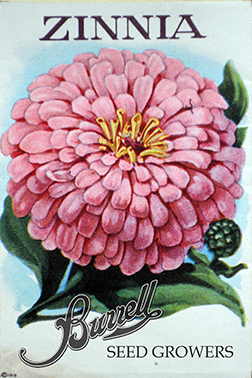 Miles of zinnia fields were grown along Colorado State highway 50 from Rocky Ford to La Junta. 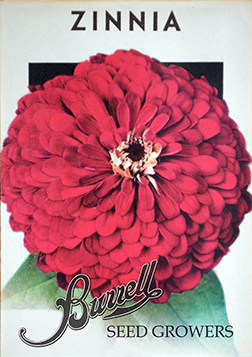 What a sight that must have been. 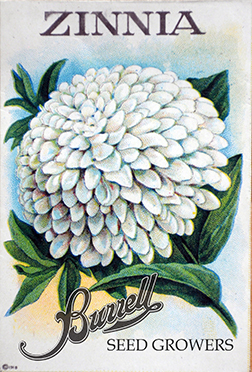 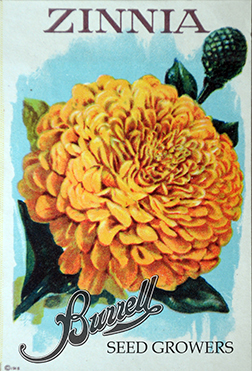 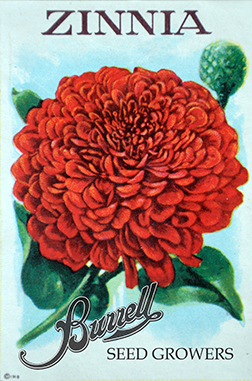 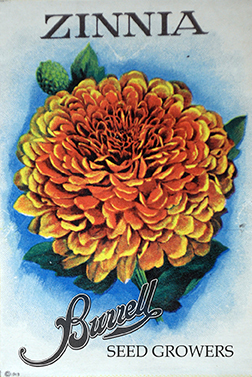 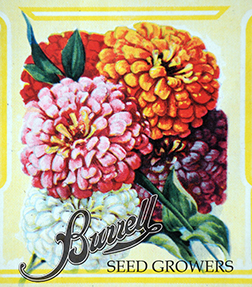 Burrell Seed Growers, LLC is working on a zinnia project to bring this seed production back to the U.S. We are endeavoring to preserve old varieties of zinnias, no longer available in the marketplace. 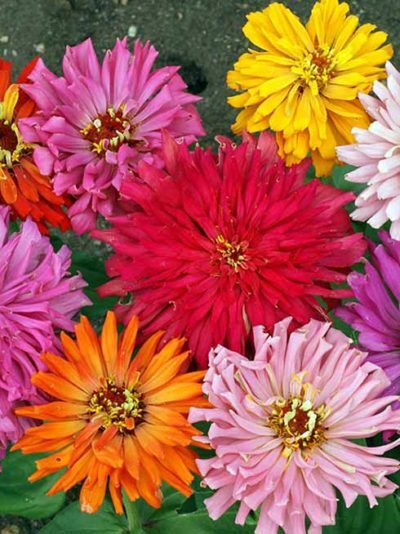 Choose a sunny location for these beauties. 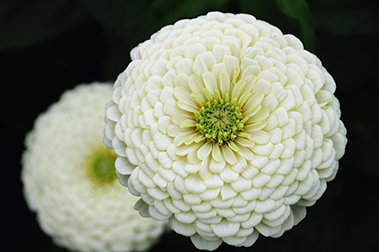 The ideal soil would be well drained loam, but they are adaptable.Plant zinnia seeds after all danger of frost has passed 1/4″ to 1/2″ deep. 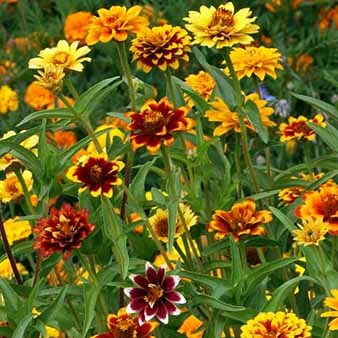 Zinnias germinate quickly; 4 to 7 days for most varieties. 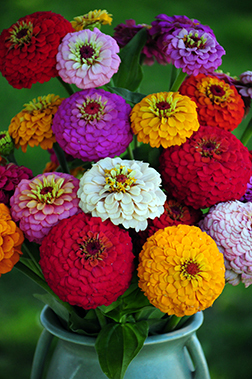 Thin Giant zinnias to 24″ apart, Lilliput zinnias to 12″ apart and Thumbelina zinnias to 4″ to 6″ apart. 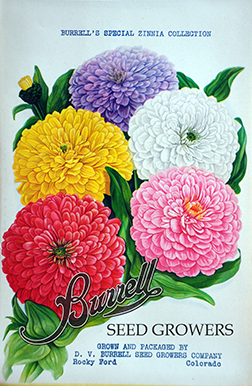 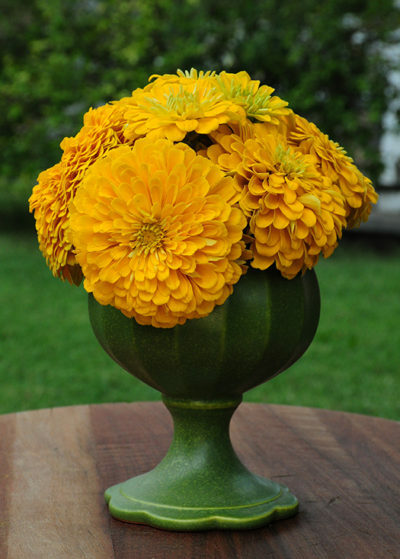 Avoid overhead sprinkling as zinnias are prone to powdery mildew. 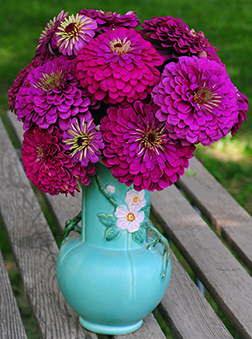 Sow in succession for a longer display of blooms.